Get A High Risk Merchant Account That Seamlessly Integrates With Authorize.net. About Authorize.Net: Authorize.Net (sometimes colloquially known as Auth.net) is a USA-based payment gateway provider that allows merchants to accept credit card and electronic check payments. The company was founded in 1996 and is now a subsidiary of Visa Inc. Authorize.Net provides services to 400,000+ merchants, with over 1 billion annual transactions totaling $140+ billion in payments. Why Do Some Businesses Need A High Risk Merchant Account To Integrate With Their Payment Gateway? Your business operates in an industry to which some banks or underwriters refuse service. This categorization is somewhat subjective (and may change over time), but in general, a “high risk” categorization may encompass industries such as supplements & nutraceuticals, vape products, firearms, etc. Your merchant account has received multiple chargebacks within a relatively small sample size of transactions. Depending on your transaction volume, even two or three chargebacks within a month could trigger an automated or manual review of your merchant account. 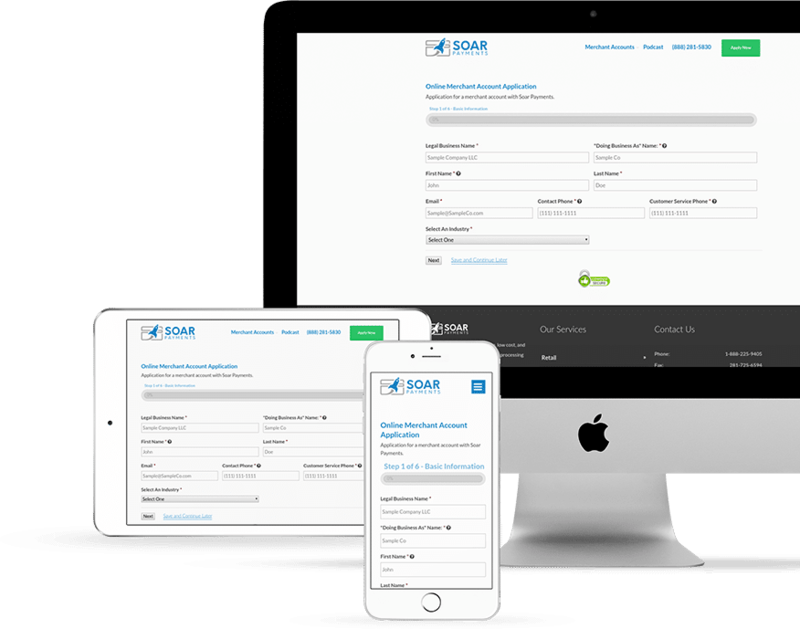 Why Do So Many Authorize.net Users Choose Soar Payments For Their Credit Card Processing? It’s easy to integrate a Soar Payments merchant account with your Authorize.net payment gateway. If needed, we will provide the gateway along with your new merchant account. The integration process only takes about five minutes. You will automatically receive our Industry Minimum Pricing(even if your business operates in a high risk industry). Get simple, transparent pricing — and no hidden fees. Soar Payments is an authorized partner of Authorize.net. After we approve your business’ application for a high risk merchant account, we will automatically integrate the Authorize.net payment gateway with your new merchant account. Additionally, we automatically configure common fraud prevention settings such as: Address Verification Service (AVS), Credit Code Verification (CCV), Daily Velocity Filter, and Advanced Fraud Detection Suite (AFDS). You may later adjust these settings to suit your businesses needs. Once you have been approved by Soar Payments for a high risk merchant account, we will send you a Welcome Email. This Welcome Email will include your merchant account details, as well as your Authorize.net login details. If you want to accept Virtual Terminal (over the phone) payments, first login at: https://account.authorize.net. Click Tools from the main toolbar. Select either Charge a Credit Card or Charge a Bank Account. Enter the customer’s payment information in the fields provided. Enter the amount of the transaction and enter any other customer information in the fields provided. If you want to integrate Authorize.net with your preferred shopping cart to accept ecommerce payments, first login at: https://account.authorize.net. Save your API Login ID & Transaction Key. Input these two numbers in the configuration screen of your preferred online shopping cart. Here are some resources you may find helpful if your business uses the Auth.net payment gateway, and you want to configure your merchant account to work with Auth.net. Authorize.net Getting Started Guide: PDF download from Authorize.net. Getting Started> Configure your account: Support center topic @ Support.Authorize.net. 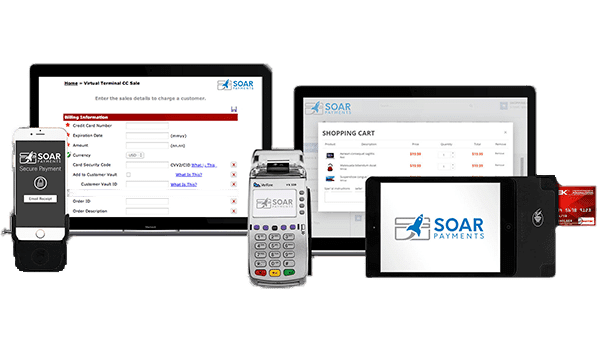 SoarPay Frequently Asked Questions: ncludes FAQs regarding equipment and payment gateways.